The Yeelight smart LED bulb comes with hands-free features. It can be controlled with Google Assistant and Amazon Alexa voice-assistants on Home and Echo smart speakers. 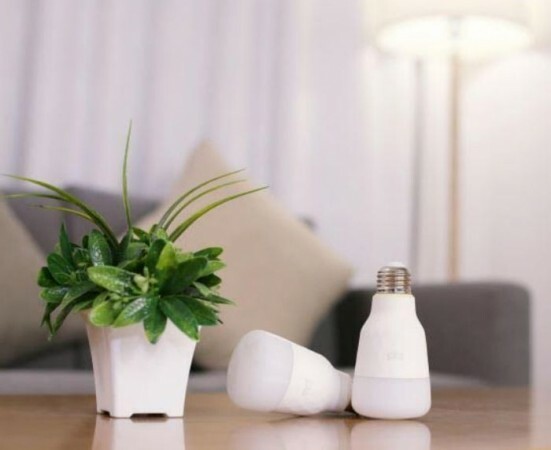 Popular Chinese consumer electronics firm Yeelight made its official debut in India in October with the launch of an array of smart gadgets which included smart LED bulbs (Colour and Tunable White), Aurora Lightstrip Plus and Yeelight Candela. Yeelight smart LED bulb (Tunable White) comes with remote control activation features and the company claims the device is made to last long. I have been using it for a few days and here's my take on it. The Yeelight smart LED bulb comes with a futuristic design and shaped in a form that allows light to spread evenly in all directions. The bottom half of the bulb has a visually appealing textured pattern with ceramic-like material and feels sturdy. 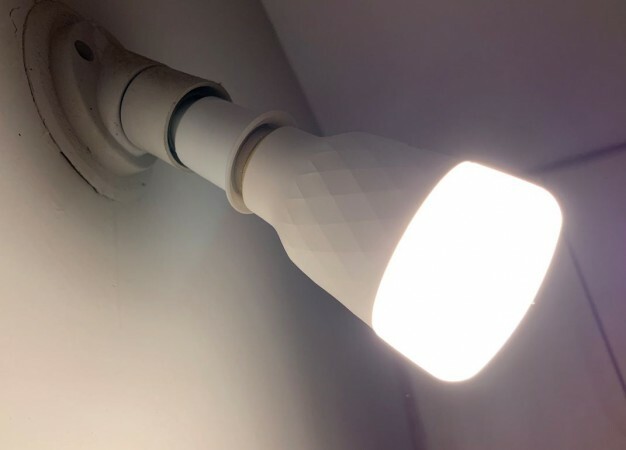 It also offers a good grip to hold on to it, which is important as users generally climb a ladder or chair to plug the bulb in a high on a wall. With 800 lumens brightness, the Yeelight smart bulb lights the whole room- more than most normal LED bulbs. I have undergone eye (both left and right) surgery for Keratoconus and am very sensitive to light. I felt the difference immediately on switching to the smart light bulb and had a pleasant time reading books after so long. I also love the customisation options offered to control brightness from 2700K (soft white) to full intensity at 6700K (daylight). Since it is a tunable white model, the bulb has two extreme colour-ranges from candle-like incandescent flickering to an almost light blue hue. The latter option is good for reading. The only qualm is that it comes with screw-holder type design, whereas my house (and most homes in India) has a different plug-in socket that supports two-pin generic bulbs. I had to find a connector, which is easily available in all electrical stores for less than Rs 50. After this initial hiccup, I was very pleased as it took me less than 10 minutes to set up the Yeelight smart LED bulb. Just install the Yeelight app on your phone and switch the light on and have your Wi-Fi ready. The phone will automatically display the bulb icon and once you press it, the pairing will commence and you will be asked to type in your Wi-Fi password and that's all. It is as simple as it gets. Like the Yeelight Lightstrip Plus, I was able to schedule light on/off, set the room with custom scenes such as romantic, twilight, candlelight, night like effects, and more. Another notable aspect of Yeelight smart LED bulb is that it comes with hands-free features. It can be controlled with Google Assistant and Amazon Alexa voice-assistants on Home and Echo smart speakers, respectively. 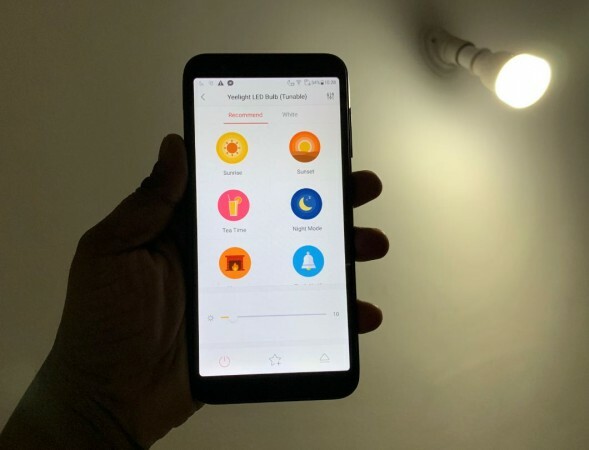 Also, it operates with Wi-Fi, so the Yeelight smart bulb can be made to change colour or pre-set time to turn on or off in homes through the app, even if you are away, from office, for example. All through the entire testing period, I had a pleasant experience with the Yeelight LED smart bulb (Tunable White) particularly when fully lit to maximum brightness. In spite of this, it consumes less power than conventional CFL or incandescent bulbs. Also, and most importantly, LED is more environmentally friendly than other types of bulbs and it is likely to last longer. Yeelight LED smart bulb (Tunable White) is available on Amazon India for Rs 2,499. If you want a multi-colour model, it will set you back by Rs 2,799.